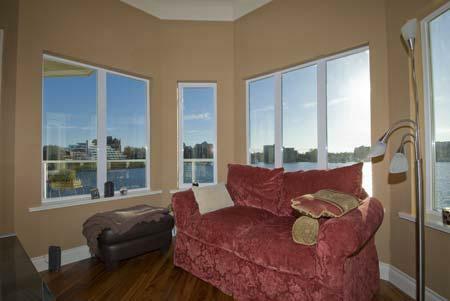 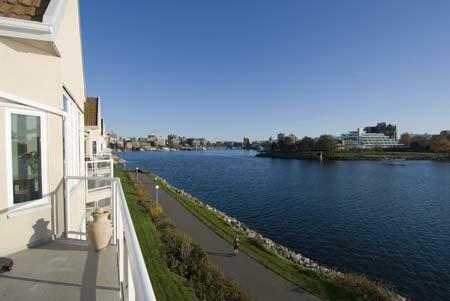 Breathtaking unobstructed view of the world class Inner Harbour from this penthouse condo, overlooking the popular West Bay walkway. 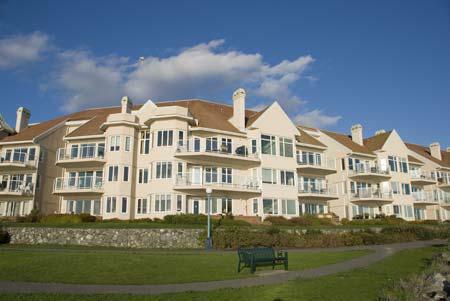 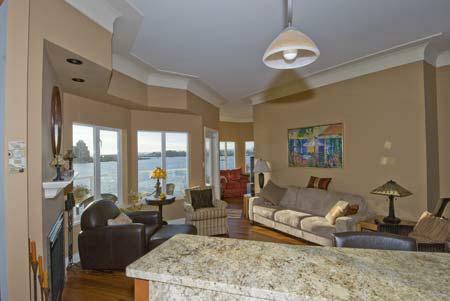 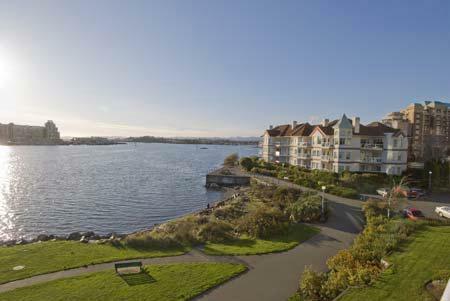 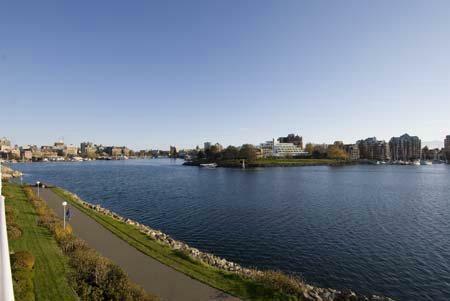 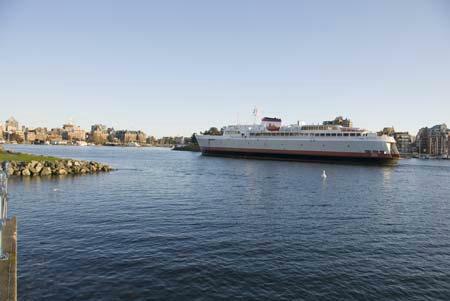 Enjoy the ever-changing panoramic ocean, city and mountain views of Victoria's famous Inner Harbour. 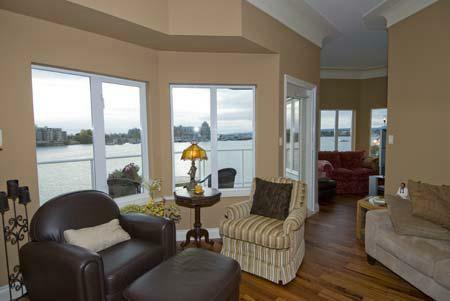 You have a front row seat to watch the activities of kayakers, private yachts, the Coho ferry and the Victoria Clipper, and the comings and goings of the float planes. 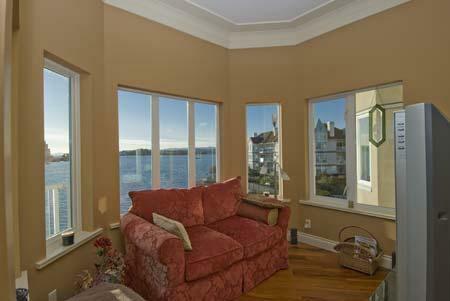 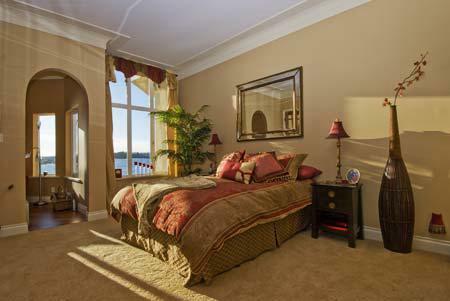 There is a full waterfront view from all rooms except the second bedroom and bathroom. 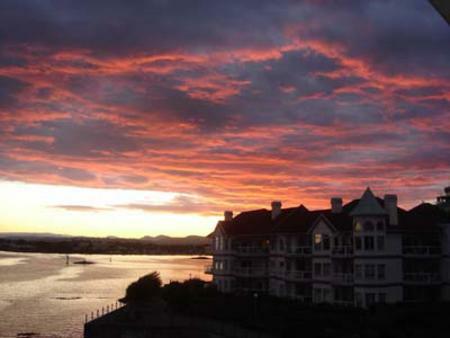 It is a sunny southern exposure with amazing sunrises and sunsets. 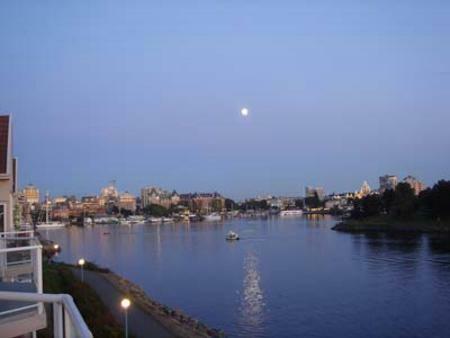 The parliament buildings lit up at night are particularly spectacular. 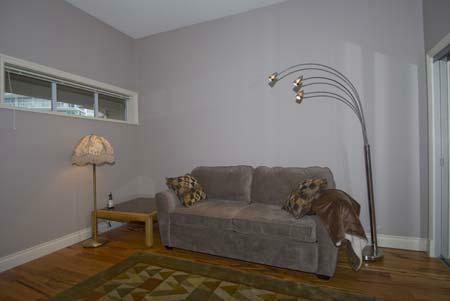 This totally renovated condo is in a quiet, mainly adult, building. 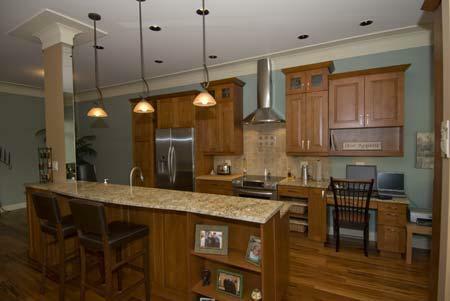 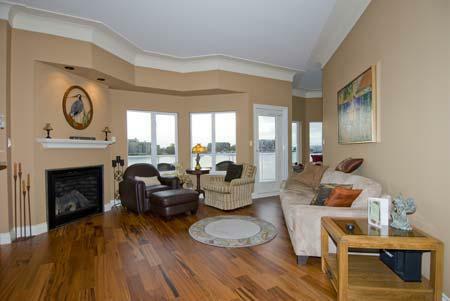 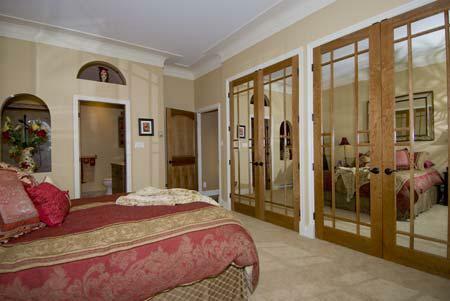 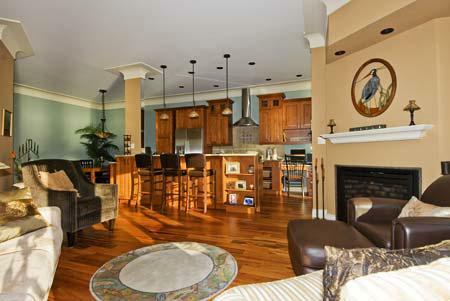 It has elegant 10' ceilings, with beautiful interior cherry doors. 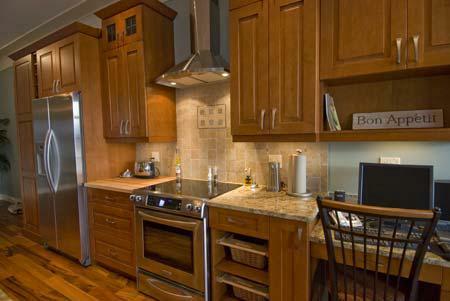 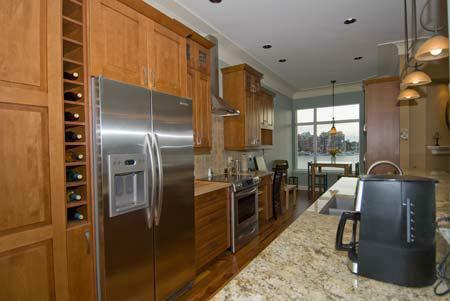 The kitchen has top end stainless appliances including built in wine cooler and bar unit, and has granite countertops and maple Columbian cabinetry with self closing drawers. 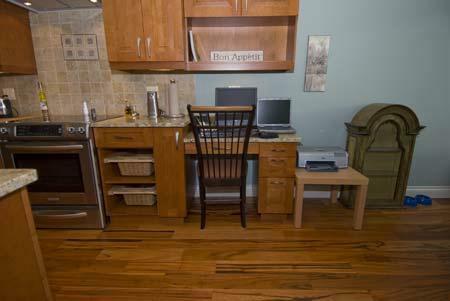 There is high speed internet with a computer station. 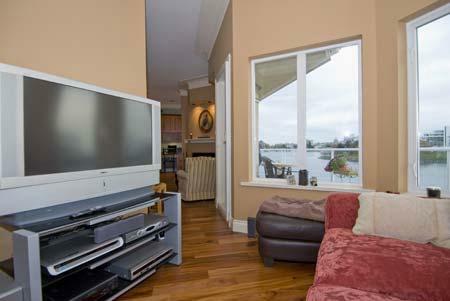 A separate sitting room has a HD 46 inch screen with surround sound. 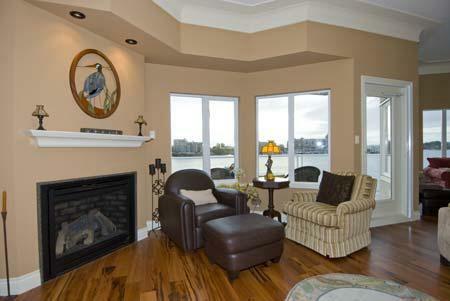 There is a gas remote-controlled fireplace in the living room. 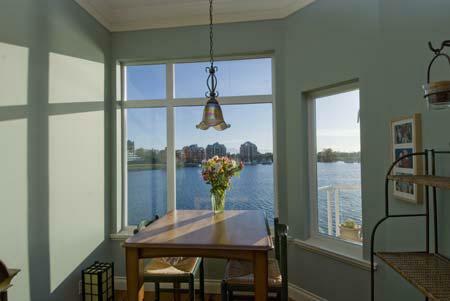 The kitchen nook looks right over the harbour, and there is a separate dining room. 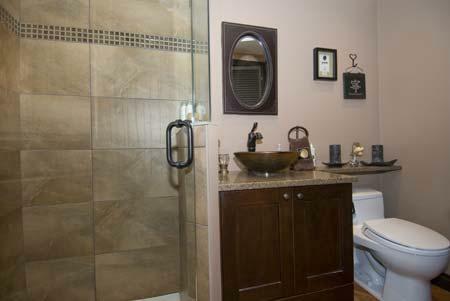 There are 2 bedrooms and 2 bathrooms, the ensuite with an air jetted tub, as well as a walk in shower. 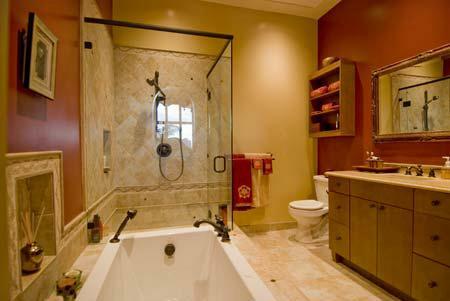 There are heated floors in both bathrooms. 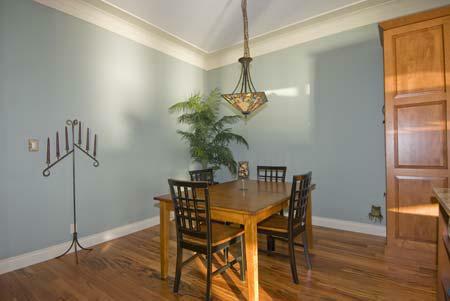 A roomy balcony, complete with barbeque and sitting area, is a must in this venue! 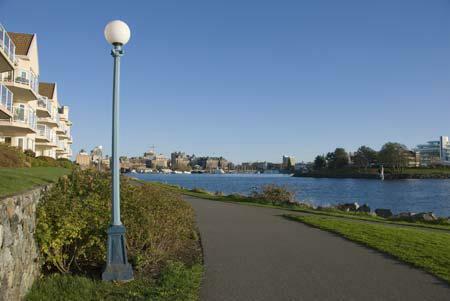 Enjoy the proximity to downtown Victoria. 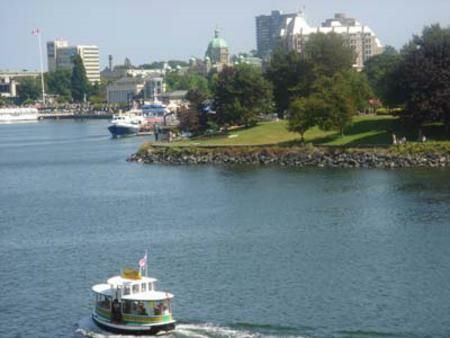 It is a pleasant seaside stroll to shops, highly rated restaurants, pubs, entertainment, the Museum, and all of the goings on en route of Victoria's fabulous Inner Harbour. 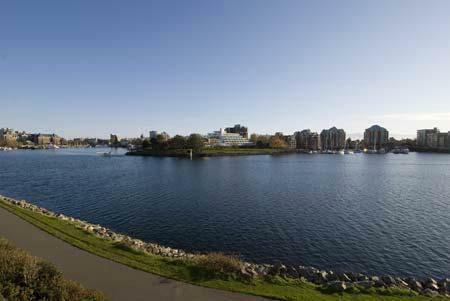 It is minutes away from the float plane dock. 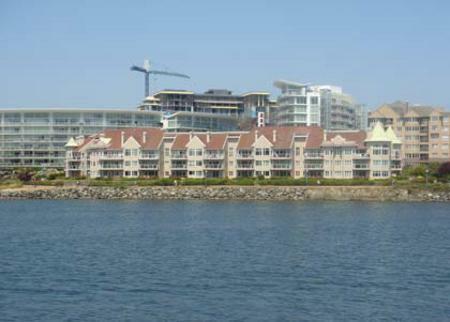 There is a fitness centre, tennis and racquetball courts, pool, sauna and hot tub membership available next door at Delta Ocean Pointe Resort and Spa.